Labour ran Reading for years and always increased Council Tax every year. In May last year the local Conservative/Lib Dem coalition took charge and have now frozen Council Tax. Note: both Labour and the Green councillor voted AGAINST this freeze. Bills started arriving this week on residents’ doorsteps. I am sure you will welcome the fact there is no increase and be pleased that we are delivering better services for our town. 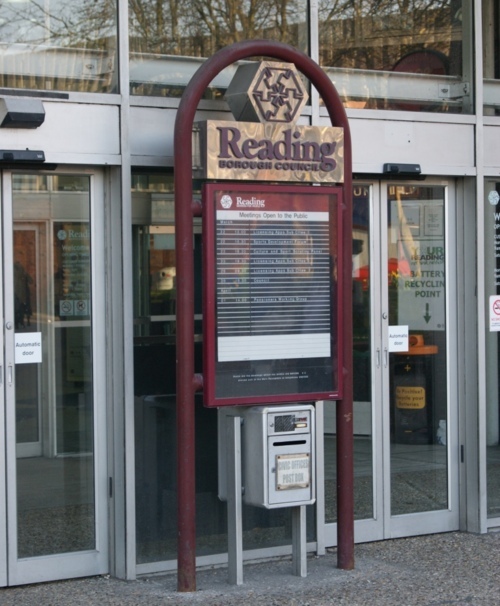 As previously posted Palmer Park’s Library is open for more hours, Reading’s Nepalese community has been given funding to enable integration in Reading and to become socially and economically active. More trees are being planted including in Palmer Park to enhance our environment and Palmer Park’s children’s playground has been revamped. Reading’s voluntary sector is receiving more funds than ever before, plus community & voluntary groups are eligible to apply for a capital grant from an additional pool of £100,000. This entry was posted in Council Tax, Miscellaneous. Bookmark the permalink.